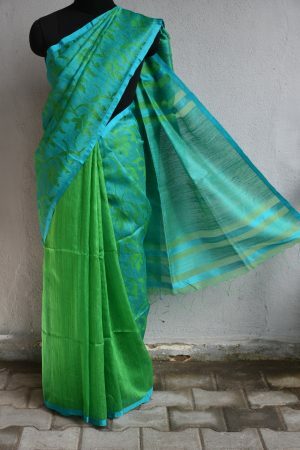 Matka Silk Sarees - Matka silk is light in weight, and a fabric which is easy to embroider on. Aavaranaa thus brings you a collection of beautifully embroidered matka silk sarees. The material used to manufacture these sarees is pure, and it is thick.Thus, we have an exquisite plethora of Matka silk sarees from our online stores. We have one to match the perfect taste of every woman; you can easily buy matka silk sarees from Aavaranaa’s online store. The Matka silk saree is one such item that every Indian woman would love to incorporate in her wardrobe. The sarees made up of Matka silk symbolize purity, richness and elegance. These sarees are simple but yet trendy looking and can be worn at home, during casual get together, or even at work. The alluring collection in vibrant colours, different patterns and style, makes our range acknowledged by many. Our designers explore the fashion markets and try to incorporate all the latest fashion ideas in their creations. 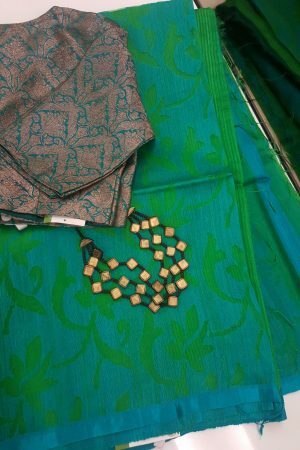 Perhaps, this is the reason we have such an amazing collection of printed Matka silk sarees as well. Our purpose it to keep you rooted to your traditional attire, yet equip you with latest fashion trends. You can reach out for your favorite Matka silk saree online. Enjoy online shopping of ethnic wears like never before, with Aavaranaa. Avail great products at decent prices, and enjoy shopping which is good value for money. Our sarees are comfortable, elegant, vivid and in-fashion. 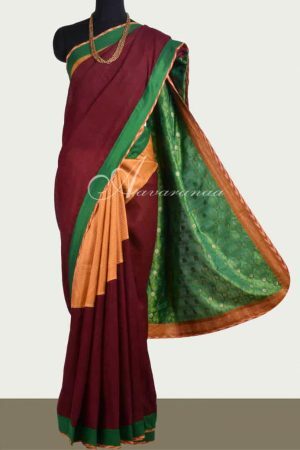 You can pick any of these dazzling Matka silk saree online, and we promise to dispatch them to your doorstep. Aavaranaa does not only sell sarees, but also equips you with traditional fashion that gladdens your heart!